Centrally located in the heart of Cape Cod – Hyannis, MA – Cape Winds is a beautiful four-season resort featuring easy access to Cape beaches, restaurants, shopping, activities and entertainment. 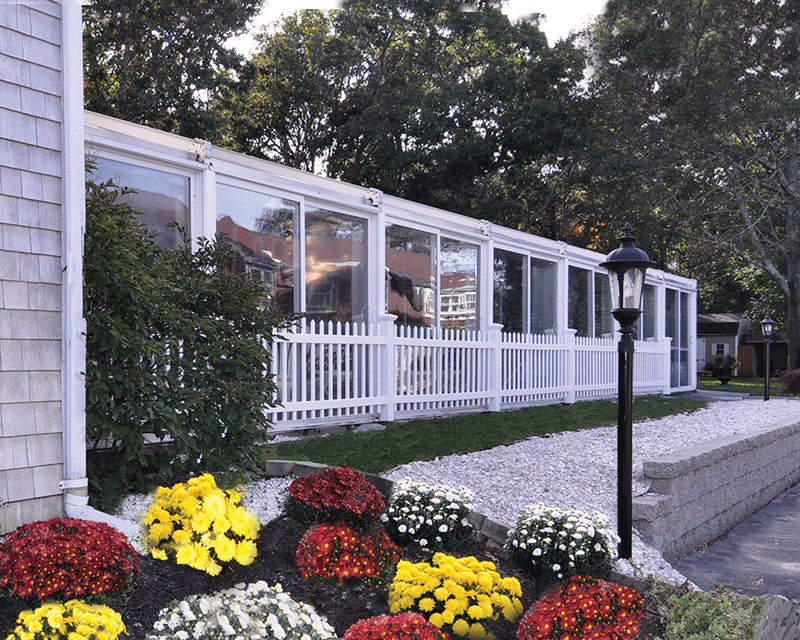 Cape Winds Resort Hyannis is close to all the best the Cape has to offer. Whether it’s a 2-minute drive to Nantucket Sound’s Craigville Beach or a 20-minute trip to Nauset to one of the top ten beaches in America, Cape Winds is in the center of it all. Hyannis Main Street shops and restaurants, Hyannis Harbor fishing trips, waterside eateries and cruises to Martha’s Vineyard and Nantucket, the Cape Cod Melody tent, Kennedy Museum and much, much more are within easy reach of Cape Winds. Cape Winds features 34 total holiday rental units, located on two floors. The 1BR condo vacation rental measures 550 square feet, and accommodates 4 people in one queen bed and one queen sofabed. Inside, you’ll enjoy a full kitchen, living and dining areas, and one full and one half bathrooms. All units feature a patio or deck overlooking our landscaped courtyard green. Units located on the second floor are accessible by interior staircase. Compare our great rate for this holiday rental with the resort’s rack rate of $1349 per week (source: VRI Vacations). Craigville Beach, Centerville – 2.1 mi., 5 minutes. Kalmus Beach, Hyannis – 3.4 mi., 9 minutes. Veterans Beach, Hyannis – 3.4 mi., 9 minutes. Sandy Neck Beach – 9.2 mi., 20 minutes. Hathaway’s Pond, Barnstable – 2.6 mi., 8 mins. Coast Guard Beach, Eastham. 28.5 mins., 39 minutes. Marconi Beach, Welfleet, 34.6 mi., 39 minutes. Countless antique stores, craft shops, and art galleries make Cape Cod a souvenir hunter’s delight. And if you love seafood, there’s no better place to be.